As a small business owner you probably are relying on a small number of employees. In fact, the entirety of your staff may be just you! Even if you do have a couple employees around to help, chances are that you are taking on the brunt of responsibilities yourself. This means that you need to be a jack-of-all-trades with the skills to manage every aspect of your business. For even the most simple business model, you will need to develop competencies in many different areas if your business is to succeed and grow. The following skills are invaluable for the small business owner regardless of what type of business you own. The ability to communicate is considered by many to be one of the most beneficial skills that one can have. Not only that, but it also serves as a foundation for other skills to follow. No matter your career or life situation, being able to effectively communicate in-person, on the phone, and through writing helps you form strong personal and professional relationships. A good communicator is someone who easily earns the trust and loyalty of those around them, earning repeat business and good will. As a small business owner, you are especially dependent on your relationships with clients, suppliers, and anyone else whose support can help your business grow. Communicate clearly and politely, be aware of the effect of your body language, and listen closely to what people say. While larger businesses usually have a separate marketing and sales department, many small business owners are their company’s marketing and sales team. While these two functions require different skills, we’ve grouped them together here because they are both essential for acquiring and keeping clients. Marketing is evolving quickly and has become even more formidable with the use of technology. Right now, you can’t beat digital marketing for value and efficiency. A sound digital marketing strategy begins with a website designed to turn visitors into customers. Content management systems like WordPress and Wix make it easy for anyone to make an attractive website today, but you can also hire someone to make and/or maintain a site for you. You will also want your business to be on social media since most of your potential customers are there. It can be time-consuming to maintain an active presence on multiple platforms, so think about which the largest percentage of your audience will be on and start there. Paid advertising from Google, Facebook, Twitter, etc. Effective marketing should make the sales part much easier by bringing the potential customers to you, reducing the need for practices like cold-calling. However, the ability to sell is still essential in converting prospective customers into paying clients. Some people are born salespeople, but many are not. As with marketing, being an effective seller requires great communication skills, so honing these skills will be a great place to start. Practice and repetition will help you develop your abilities, but some people need a bit of extra help developing this important skillset. Try searching for sales training delivered online or as a classroom course. As mentioned above, technology bolsters business operations – and the connection is only becoming stronger. This doesn’t mean that you need to be a technical genius. However, you need to be comfortable using computers and any other form of technology that your small business might rely on to function. For example, you will hard time putting the marketing tips from the last section into action without some computer knowledge. Because you can always hire someone to help with technical solutions beyond your skill level, consider developing a level of tech-savyness as a way of opening your mind to the possibilities available. If you make a habit of going online to keep up with current trends, you will have a constant flow of new ideas to help improve your small business. 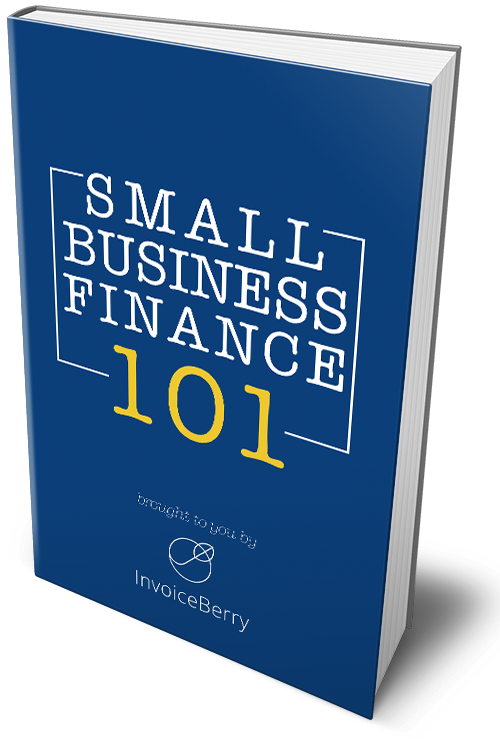 In addition, when you are more confident with technology, you may feel more comfortable using the many services available today to help small business owners, automate important yet time-consuming business functions like invoicing. According to a recent survey, 29% of business owners work over 50 hours a week and 86% percent work on the weekend. If you are like many small business owners, you work these hard hours because your job is your passion. However, this intense schedule is not only stressful in the long-term, but can negatively impact your friends and family. By practicing better time management, you can cut back on the amount that you work and get more done in that time-period – leaving you able to enjoy your time away from the business without worrying about things left undone. Even after you have eliminated the stress of being overworked and having a poor work-life balance, stress will likely still be an issue. Your business is your lively-hood and you are responsible for its ultimate success or failure. That is a lot to put on one person. Figure out what helps you relax whether it be yoga, meditation, or knitting. Prolonged stress is proven to cause health problems, which means that stress and time management are incredibly important skills for all of us to master. However, those with large amounts of responsibility are often more at risk of constant stress. If, when reading through this post, you thought that you could stand to grow in some of these areas then fear not! There are many ways to gain new skills at your fingertips these days. We hope that we’ve opened up some new ideas for development, or even helped you realize how these skills can help your small business thrive now and beyond. Our guest post today was written by Courtney McIntosh. Courtney is the site manager at findcourses.com. She helps people grow and organizations evolve by making it easy to find and compare the best training solutions available.